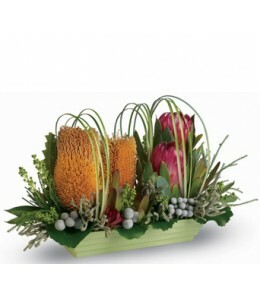 Send this imaginative native table arrangement to someone who appreciates an occasional twist.Flowers are subject to seasonal availability. 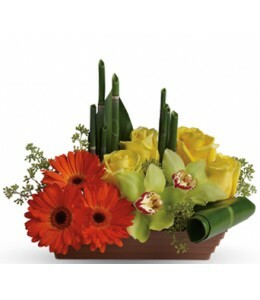 In the event that any of the flowers are unavailable, the fl.. 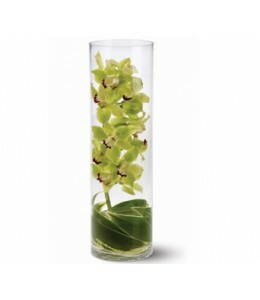 Tall green cymbidium orchid stem - swathed in ti leaves and presented in a clear glass cylinder.Flowers are subject to seasonal and regional availability. 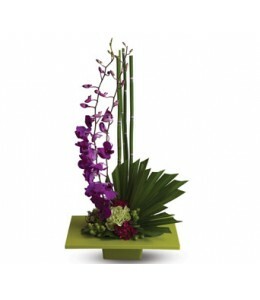 In the event that any of the flowers are unav..